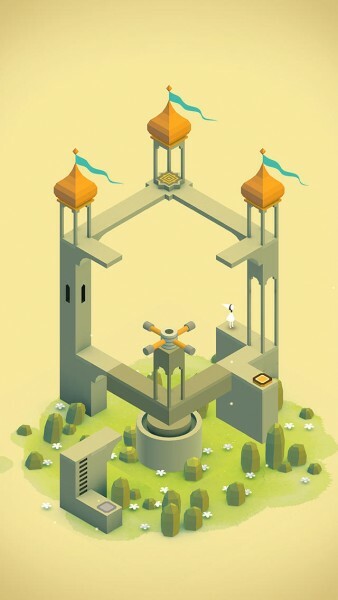 Monument Valley ($3.99) by ustwo™ is a stunningly beautiful puzzle game where architecture knows no bounds and defies all laws of physics and logic. 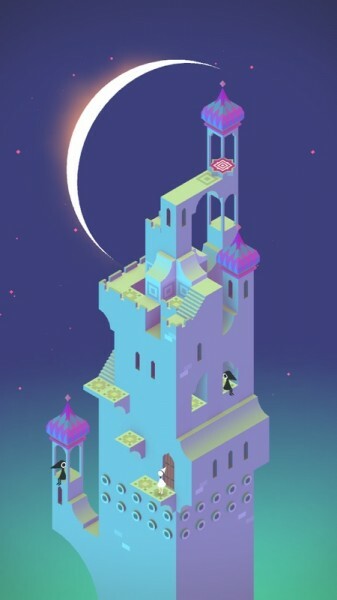 If you enjoyed other iOS games that are like works of art, such as Tengami, then you will love Monument Valley. 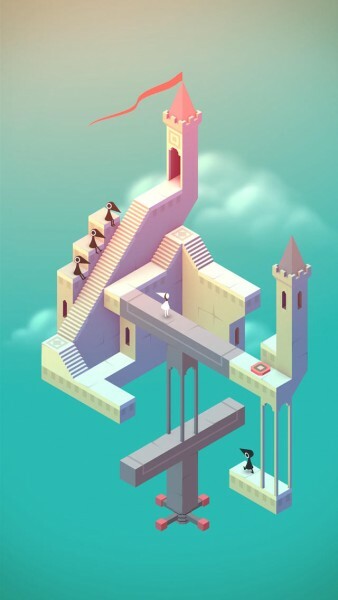 I’ve heard a lot about Monument Valley’s release prior to last night, and as ustwo revealed trailers for the game, I became ecstatic when I saw each one. This is a game that is inspired by M.C. 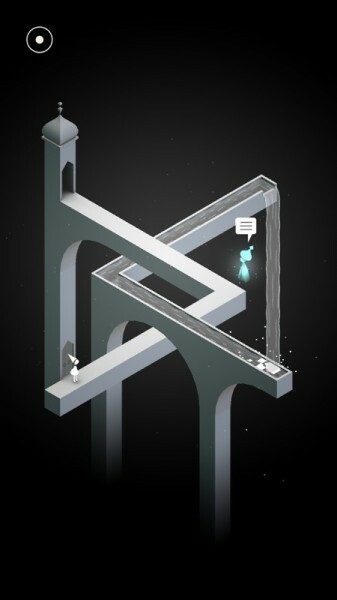 Escher, and the gameplay is similar to Echochrome. 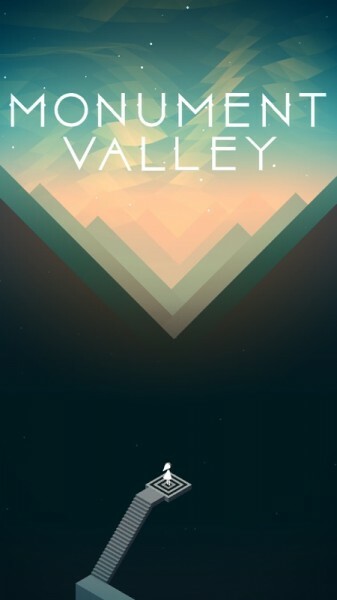 I fell in love the moment I launched it, and this is one of the best games I’ve found this year. 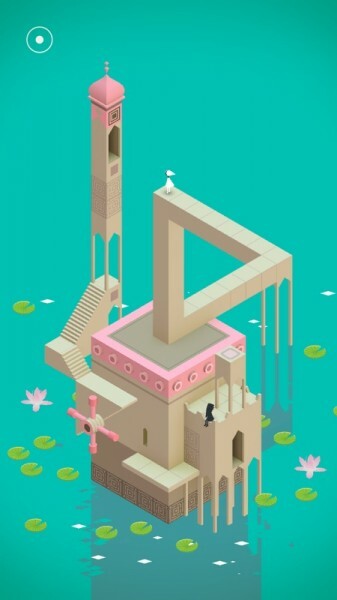 The isometric visuals in the game are gorgeous, featuring a minimalist, 3-D design that is perfect for optical illusions and various perspectives. 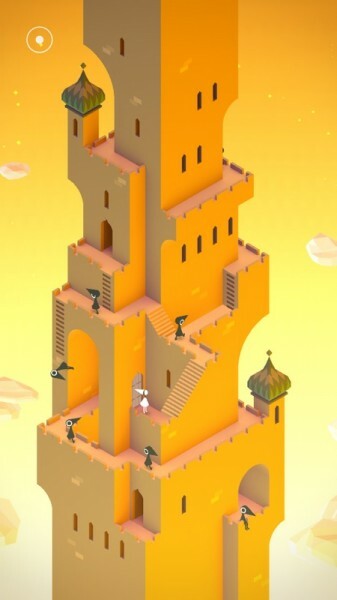 The various architectures that you will come across involve temples, castles, and other magnificent towers, all filled with staircases, doors, platforms, and other structural elements. 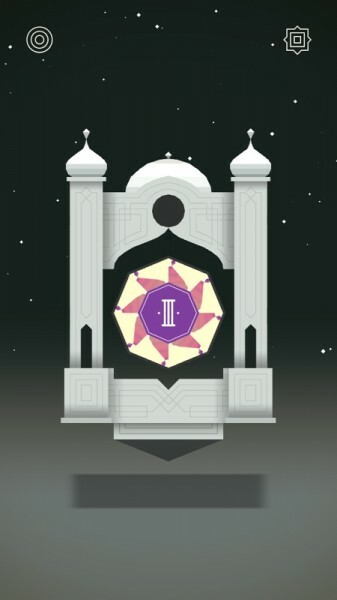 There is more to everything here than what meets the eye — as you play, you will see things that weren’t there a second ago, and everything in the game can change in just a few moments. The animations are also smooth, from the ever-shifting domains to the movement of Princess Ida — it’s all just delightful. The music is also one of my favorite things about the game. 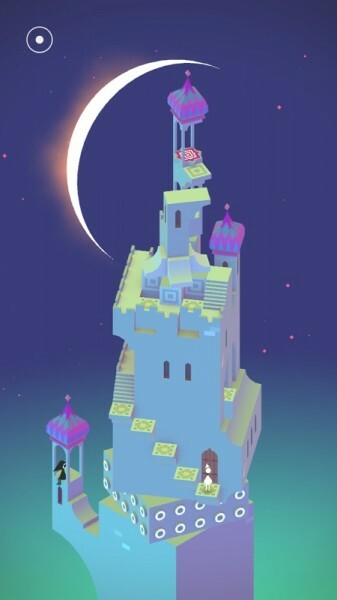 It’s whimsical and charming, and one of the most relaxing soundtracks I’ve come across in an iOS game. It’s one of those soundtracks that you will want to listen to after a long day, because it’s so calming. And the music will react to how you interact with the architecture, which is a nice touch. 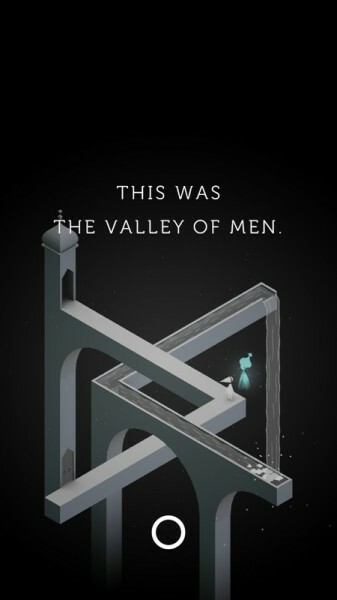 Combined with the unique gameplay and art, it’s a winning mix. 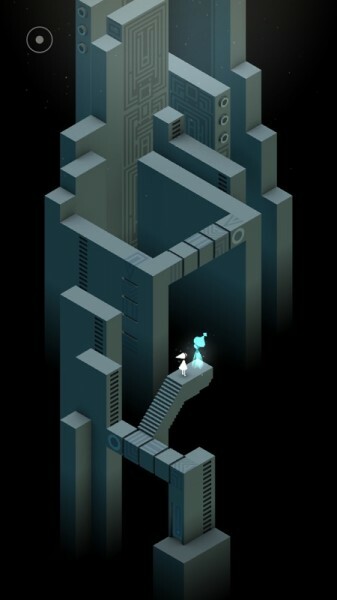 Monument Valley features plenty of levels for you to solve, and in order to move on to the next, you’re going to have to figure out the previous one, of course. 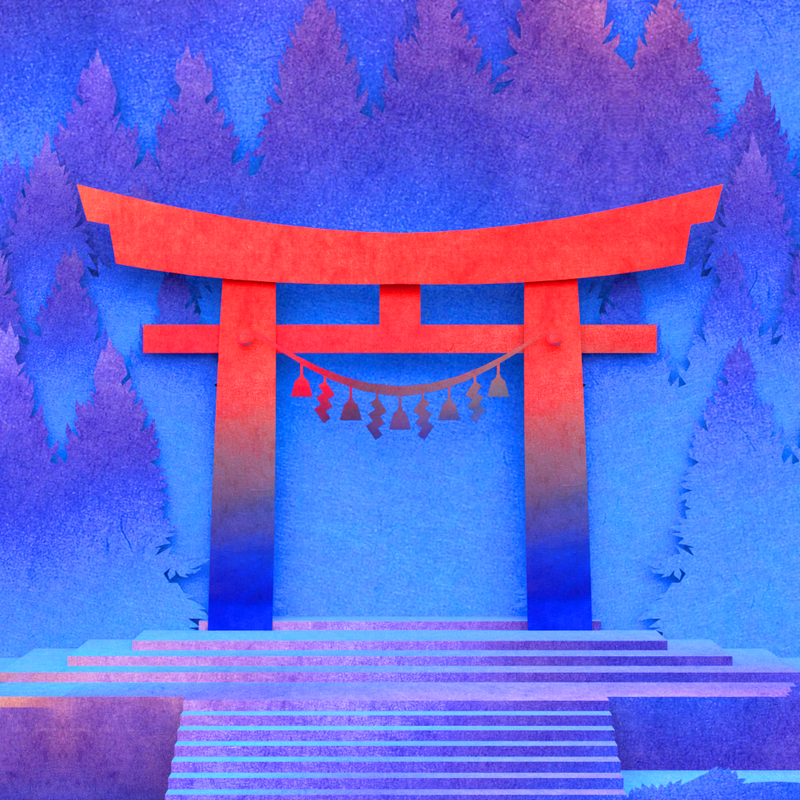 In each puzzle, you need to guide Ida from the starting point to the ending shrine, which has a distinctive marker on it for easy recognition. In order to do this, Ida needs your help with manipulating the environment. 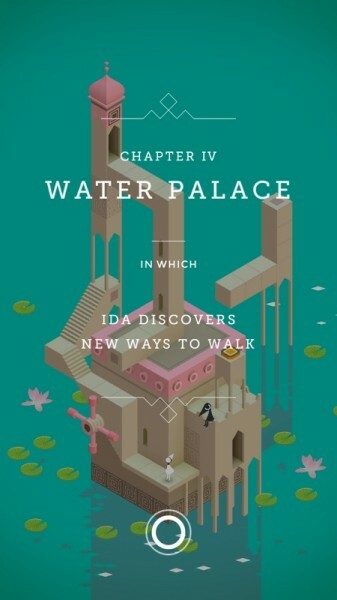 You tell Ida where to go by tapping on the spot you want her to walk to. If she’s unable to go to that spot, she will not move. 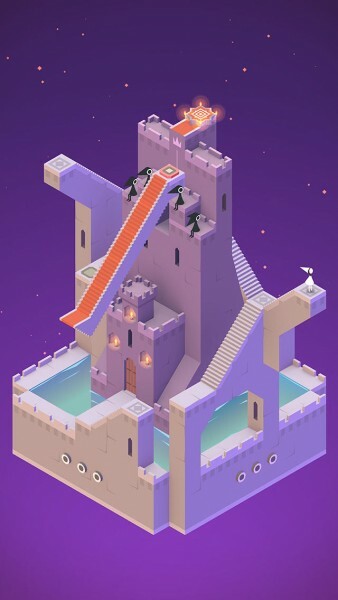 With swipes and taps, you are able to rotate parts of the architecture to create new paths that would have otherwise been impossible to make. These interactive parts of the level will be indicated with handles and buttons, so it’s hard to miss. As you change the world that Ida is in, she will be able to do things that would not have been possible otherwise. 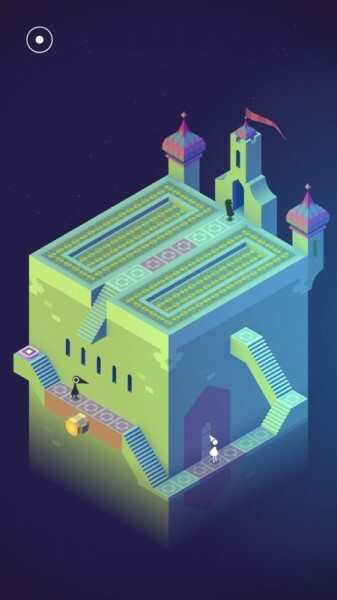 Things like crossing across a waterfall, or even walking down sides of walls — this is all possible thanks to the dynamic world of Monument Valley. It’s actually a trip the more you play, because the constant displacement of the surroundings end up creating optical illusions that will throw you off, but only for a moment. 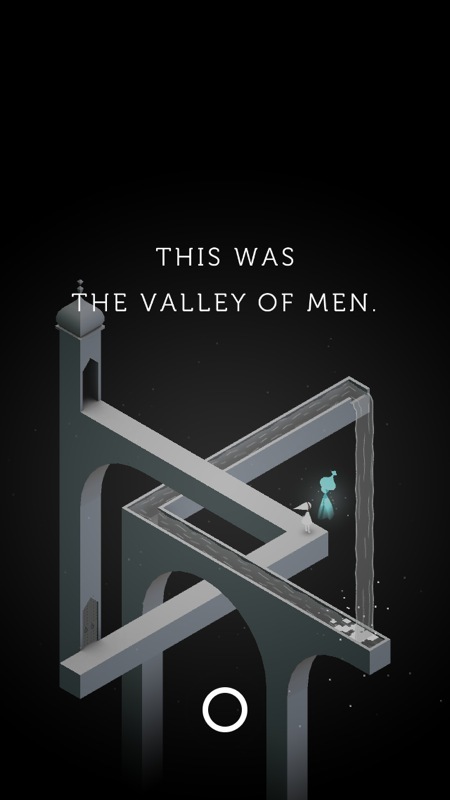 The puzzles take up the entire screen, and you can see the world move, rotate, and unfold itself as you continue to change the viewpoint to get Ida where she needs to be. 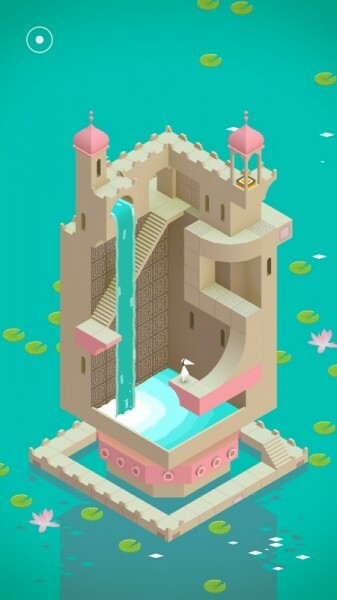 There are no high scores in the game, so playing through Monument Valley is tranquil and comforting. It’s a special experience, and you’re going to have to think about what paths make sense to complete the objective, in order to actually see and create them. The usual concept of what is above and below you are completely thrown out the window here, so it will take a bit of getting used to, but it is well worth it. 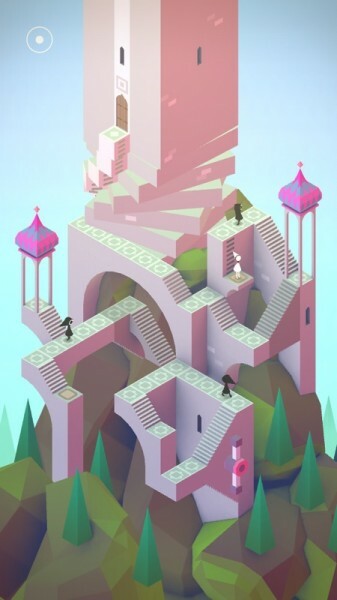 Monument Valley may just be another puzzle game that wants you to get from Point A to Point B, but it’s the process of getting there that makes it special. 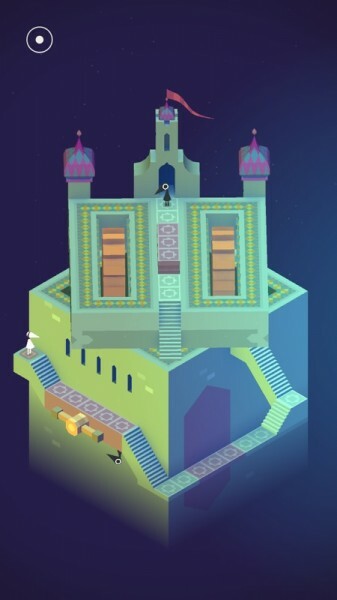 With this regard, it’s definitely one of the most distinctive little games I’ve played lately, and it’s absolutely exquisite — a must-have for anyone. If you can only get one paid game this week, make it Monument Valley. You won’t be disappointed. 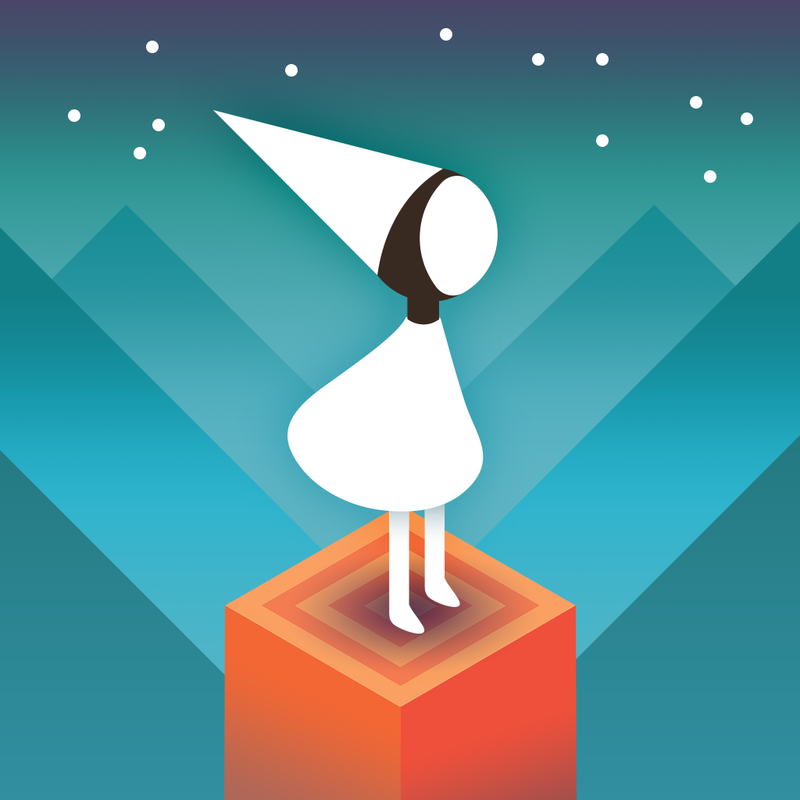 Get it on the App Store as a universal download for $3.99.